While indigenous peoples are celebrating the one-year anniversary of their blockades against the proposed Baram Dam, the government is sending a troublemaker and the police to eliminate the resistance. (BARAM /SARAWAK / MALAYSIA) Today, the peaceful blockades against the proposed Baram Dam in Sarawak, Malaysia, are celebrating their one-year anniversary with games, prayers and a barbecue. The planned festivities, however, have been clouded by the Sarawak government’s attempt to remove one of the barricades erected by the indigenous landowners by deploying local troublemakers. 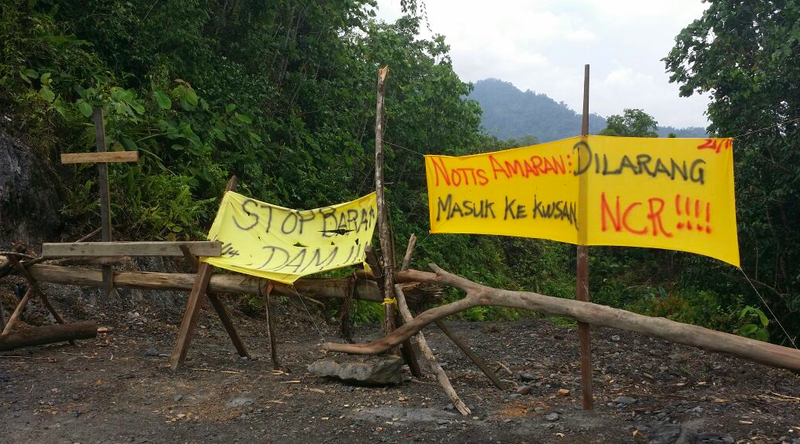 The Sarawak government and dam builder Sarawak Energy sent a man called Lah Anyi from the local village of Long Kesseh to one of the barricades erected against the proposed Baram Dam. Lah Anyi claims to have a concession for logging in the Baram area, although this is no longer true. Despite his claim being invalid, 50 policemen from the General Operation Force, which is experienced in dismantling blockades, and also representatives of the Forestry Department helped him to dismantle a barricade at the proposed dam site last Tuesday. The indigenous protesters immediately set up a new barricade after Lah Anyi and the police had dismantled their previous one. The police gave them a three-day period of grace to remove the barricade – and this period ends tomorrow. The protesters have now mobilized more people from all over Baram to help defend the blockades against this immediate threat. The government’s support for Lah Anyi is highly problematic, as Lah Anyi doesn’t possess a valid concession for the area and because the local communities have gone to court about the expropriation of their land for the dam and the ongoing logging activities: the case is still pending and is not meant to be heard in court before March 2015. Sending a local troublemaker to disrupt the protests is just the latest tactic on the part of the Sarawak government, which is setting out to weaken indigenous resistance to the proposed Baram Dam. The blockades constitute an annoyance for the government and Sarawak Energy in their implementation of the 1200 Megawatt Baram Dam. 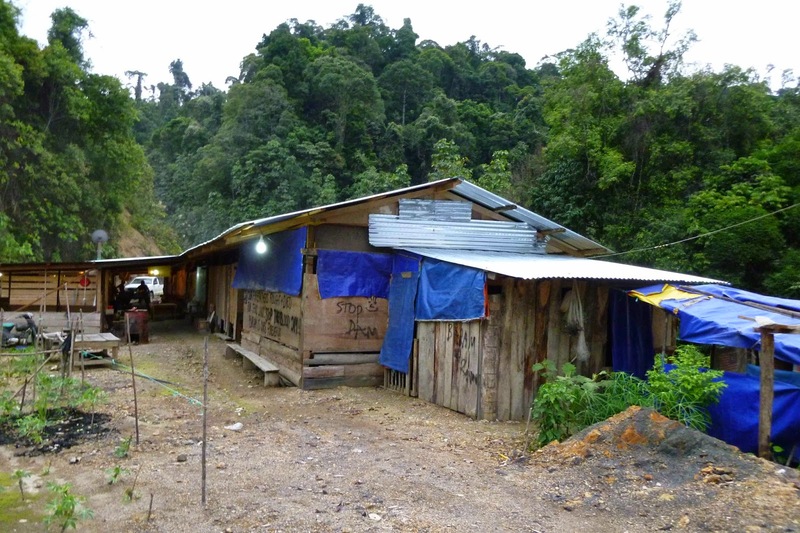 As attempts to bribe the communities have not achieved the expected success, the authorities started sending out Lah Anyi to resolve the situation for them in early September. Now, however, the police are officially backing him up as well.